Snowydew Snowy Also, i have my ps3 rigged to hell, to boot into gameos, sooo taking a crack at psone and psp games, just because i can. Psp games are now mountable. Now to get them to boot. If i had a variety of examples to work from. This will make it go WAY FASTER. 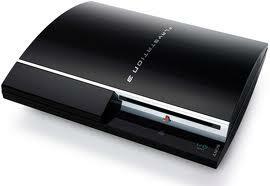 Ps3 gameos. Trying to run psone and psp games from the dashboard. So far so good. more examples would help though. well they did release some games, the psp emu will need patching for heavy use games though i'll see what i can do. Loco Roco mounted, but not yet 100% working. If anyone has "resident evil1-3, metal gear solid or any final fantasys" installed onto 3.55 and below consoles. ********* email me! I need the psn versions sadly , already installed is what i need / specific files that are in the directory.